How many miles is too many miles for a Ferrari? When appraising a used car, one of the first things we look at is the odometer. Then, of course, there’s the year, make and model of the car, etc.– but how do we determine if the car is considered “high-mileage” or not? Sadly, for everyone, there does not seem to be a simple answer to this. As a general rule of thumb, around 5,000 miles a year is considered “low miles,” and around 15,000 miles a year is considered “high miles.” To make matters more confusing, exotic cars play by a completely different set of rules than your average used car. The terms “low mileage” and “high mileage” take on entirely different meanings in the exotic world. Here is the cold, hard truth: anything over 15,000 miles on an exotic car is considered high mileage. Totally asinine, right? I mean, how could 15k miles possibly equate to being high mileage? And how could that make the vehicle far less expensive, less valuable and, therefore, less desirable? And what is even stranger is that from a mechanical perspective, a car with 40,000 miles is probably in better shape than the car with 4,000 miles because it has actually been driven. That’s where the car’s condition comes in. For all used cars, exotic or otherwise, it is important to look at the service history to determine how the car was treated. Is it up to date on service? Has it been well-maintained over the course of its life? A great way to think about it is: a car that has 90,000 miles on it but has been serviced every year is going to be in far better shape than a car with, say, 30,000 miles that has not been taken care of, major service intervals neglected–that sort of thing. 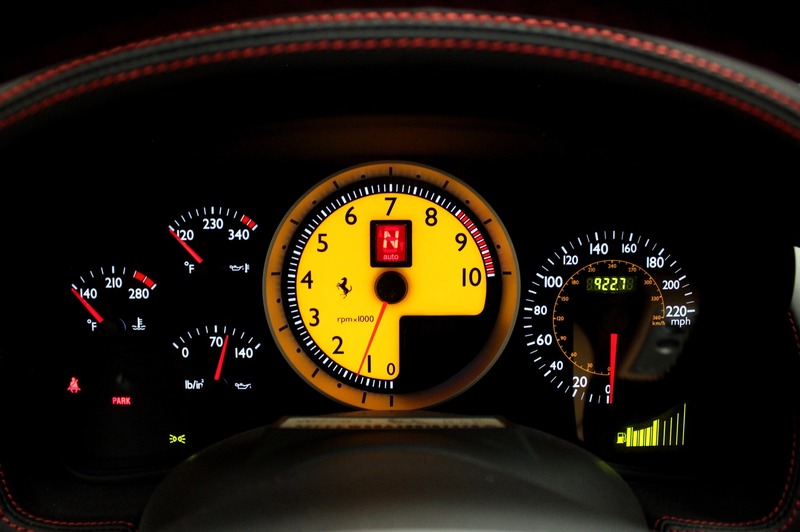 For pre-owned Ferraris, and all exotics for that matter, service history is critical. One of the major services for Ferraris is the timing belt service, and while used Ferraris (and exotics in general) are known to be garage-kept and cared for, if a service like this has not been done at the proper service interval, it negatively impacts the cars worth. So you see, all miles are not created equal–Just because a car is low-mileage, even by exotic-car-standards, it is vital to do your research on the condition of the car as well. You may be asking yourself, if mileage is such a big issue, what is the point of buying the car if you can’t even drive it? I’ve asked myself the same thing, and wondered if I was thinking too much about the resale instead of just enjoying the car. But, when you are considering spending $160,000 on a Ferrari 360 Spider, the resale value matters a whole hell of a lot more to you than if you are buying a $25,000 car. At the end of the day, cars are meant to be driven–that has always been my philosophy. As far as mileage goes, if you are concerned about resale values, buy the car, drive the car, take proper care of the car, trade it in against another pre-owned exotic…repeat.